A website content library keeps you on track to publish blog posts, while helping you stay organized and get the most out of your online content. So if you have a website or blog, use this simple strategy to create an editorial calendar and content database that will make managing your digital presence easy. What Is a Website Content Library? A website content library is an upgraded version of an editorial calendar. It outlines what you plan to publish and organizes what you have already published. It’s a complete digital database made up of three sections. The three pieces come together to create a library that outlines your entire website presence. Why Do You Need a Website Content Library? Let’s face it. Blogging and keeping track of online content can be messy. It’s easy to forget about content you wrote years or even just months ago. Without a schedule, you’re always forgetting ideas you have for blog posts. And, without an organized list of pages, you waste a lot of time looking for other pages and assets on your site. A website content library resolves all of those issues. So, how do you create a website content library and receive all of these benefits? It’s fairly easy to set up the framework for your website content library. The grunt work of filling in your data is the most difficult part. So if you’re new to blogging or managing an online presence, it’s a good idea to start this as soon as you build a website. Go through your website and add every important page to this list. An important page is anything you think you will want to or need to reference in the future. That may include your landing, about, product, category, contact, and bio pages. Content assets include any upgraded content you have such as ebooks, PDFs, and guides. It should also include offers and opt-ins for an email series, online course, promotion, consultation, or newsletter. The reason that I recommend using this section for both past and future posts is that it puts all of your information in one place. You can see what you have done and use it to guide what you will do. I also recommend tracking your email schedule here too. Again, having everything in one place makes it easier to assess, plan, and execute. Okay, now that you have a website content library filled with data from your website, let me show you exactly how this resource will help you. Don’t feel like creating a website content library on your own? At the bottom of this post, get my pre-made templates so all you have to do is plug in your information. Avoid using the same keyword on more than one page. It’s a bad SEO practice to assign the same primary keyword to more than one page on your website. When you do that, you are in a way, trying to compete with yourself for a search term. This causes search engines to have a difficult time trying to understand which page is more important. With a list of all of your pages and post and their corresponding keywords, it’s easy to avoid this mistake. You can quickly reference your list to make sure you haven’t already used the keyword. Internal linking (which is linking to other pages of your website on a page of your website) helps both audiences and search engines navigate and understand your website. When you publish a new page or post on your website, you should add internal links to other pages. It is also a best practice to use anchor text that matches the keyword of the page you are linking to. This is an easy task to accomplish when you have a website content library. When you complete a post, look at your Landing Page List and Editorial Calendar to find pages to link to (along with the right keywords to use). Promote your opt-ins and content upgrades. Now that you have a Content Asset List, it’s easy for you to review your upgraded content. When creating new content, refer to this list and include links and promotions whenever relevant. Also, as you create new blog posts, always come up with topics that will lead into one of the content assets from your list. This will increase the likelihood of you remembering to promote your opt-ins and grow your subscriber list. Every post and page on your website should end with a call-to-action that tells the audience to take the next step toward doing business with you. Creating those call-to-actions is easier now that you have a list of content assets to promote and links to promotional language and copy that is already crafted. And, if your call-to-action is to drive the audience to another page, that is easier too. You can simply look at your list of pages to find the link to the page that you want them to go to. Create plans for new content. Easily identify gaps in topics and create posts that fill the void. Share your past content with new team members so they avoid pitching ideas for content you’ve already created. Track and manage your upcoming posts. Identify old posts so you can republish content. See all of your content so you can develop ideas to repurpose what you’ve already created. 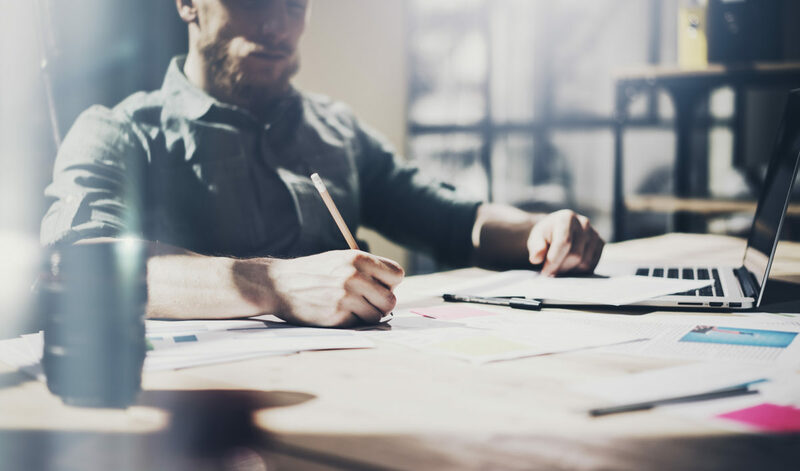 Being able to assess and review all of your content at one time — past, present, and future — makes it easier to develop and grow your digital content plans. As you can see, a little upfront work to create a content library for your website will pay off in the long-run. It will make your life easier and your website better. So, what are you waiting for? Start creating and building your website content library today. And, to make it even easier on you — grab the templates I used in this post. All you have to do is fill in your info and you’ll be on your way to a more efficient and effective content plan. Save yourself time and energy. 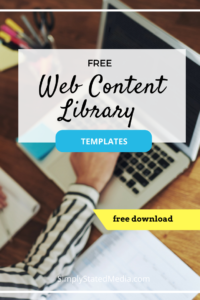 Get all of the website content library templates mentioned in this post and start your library today.